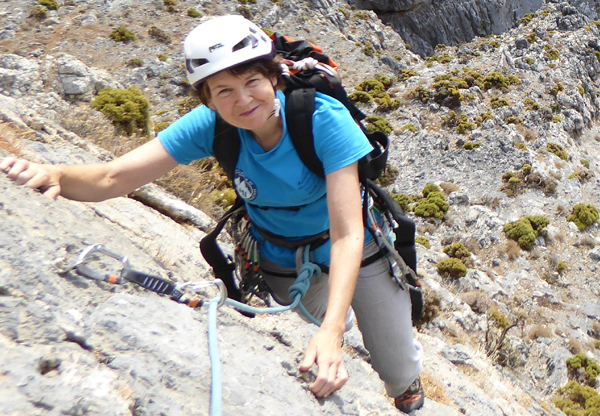 Linda is also a freelance mountaineering instructor and member of AMI. She holds both the MIA and WinterML qualifications and is a GTC registered secondary school teacher. 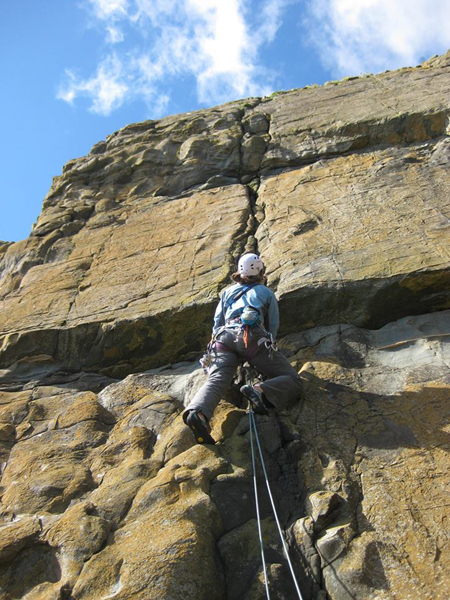 Linda is qualified to teach mountain and multi-pitch rock climbing, scrambling and all aspects of summer and winter hill-walking. In the past she has also been an active orienteering coach and Alpine Ski Leader. Linda worked for fifteen years at the outdoor education centre in Castle Douglas. For a list of winter skills and ski-mountaineering courses Linda will be running in winter 2019 have a look at our Scottish Courses page. There are further details of what Linda can offer on this page and regular updates on her Facebook page. Her contact details and guideline prices are at the foot of this page. 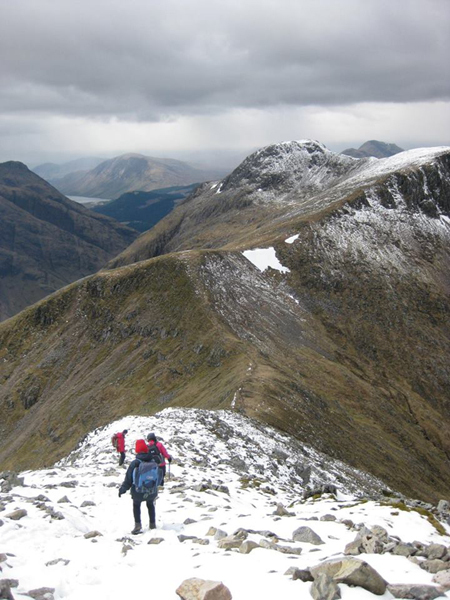 HILLWALKING:- Linda can guide and instruct both summer and winter hillwalking, including winter skills such as using crampons and ice-axes. 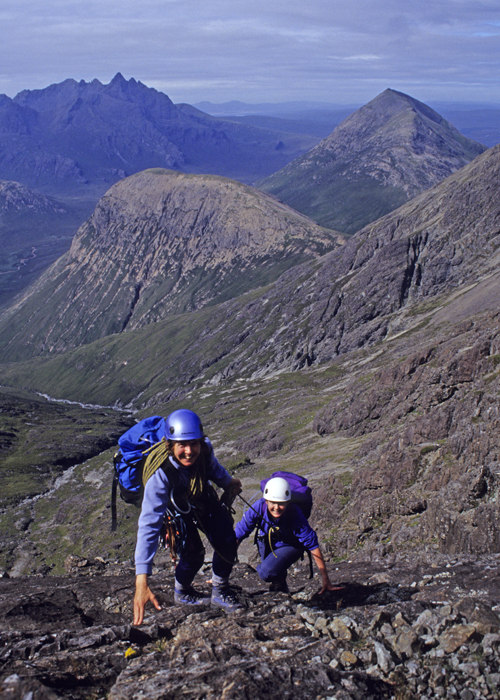 SCRAMBLING:- Linda can guide and instruct on classic summer scrambles such as Tower Ridge on Ben Nevis, the Aonach Eagach, Liathach and the Cuillins of Skye (pictured below on Clach Glas). 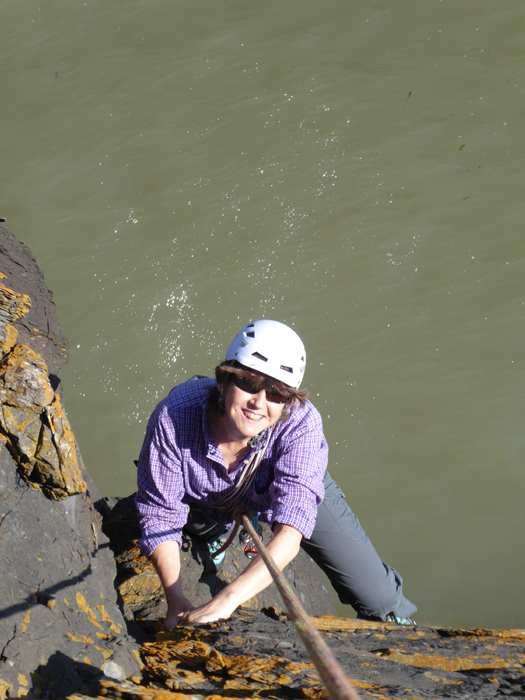 ROCK CLIMBING:- Linda can guide and instruct mountain and multi-pitch rock climbing. Pictured above leading the route "Mellow Yellow at Meikle Ross. Pictured below on a route called Puffin Nuffin at Portobello on the Rhins. or if you want any other help or advice. To give you an idea of my usual rates as an instructor Linda charges between £140 and £180 per day, depending on the activity. Shorter sessions locally can be much cheaper. This cost can normally be shared between two or more people and rates are also a bit cheaper for multiple days or sessions.